Bowmanville, ON (Sept 4, 2017) – A high-energy, triple-header race weekend at Canadian Tire Motorsport Park (Mosport) marked the season finale for the Pfaff Motorsports’ GT3 Cup Challenge program, who were looking to lock up the team and Platinum-class championship titles in front of the packed hometown crowd. 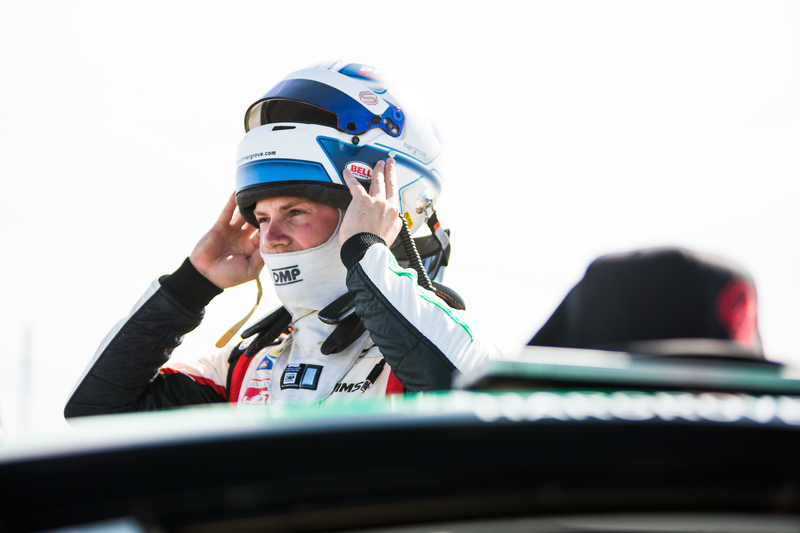 Points leader and Pfaff pilot Scott Hargrove had a healthy 18-point lead on challenger Zach Robichon, though with the make-up race from Watkins Glen included amongst the weekend’s events, it meant the team and its 2014 champion would essentially need to win two of the remaining three races. The first day of regular-scheduled practices also saw the Watkins Glen make-up race held, with Hargrove starting from second position and pushing Robichon from the wave of the green flag. Pressure on, Hargrove made a swift move on lap 11 on the inside of the tight Turn 9-10 complex and never looked back. Teammate Orey Fidani, who was involved in the heavy collisions at Watkins Glen that resulted in the reschedule, had started from the back as a result, though he consistently sliced his way through the field to finish in the top 10, with teammate Pieter Baljet behind, and Ed Killeen closing out the field. 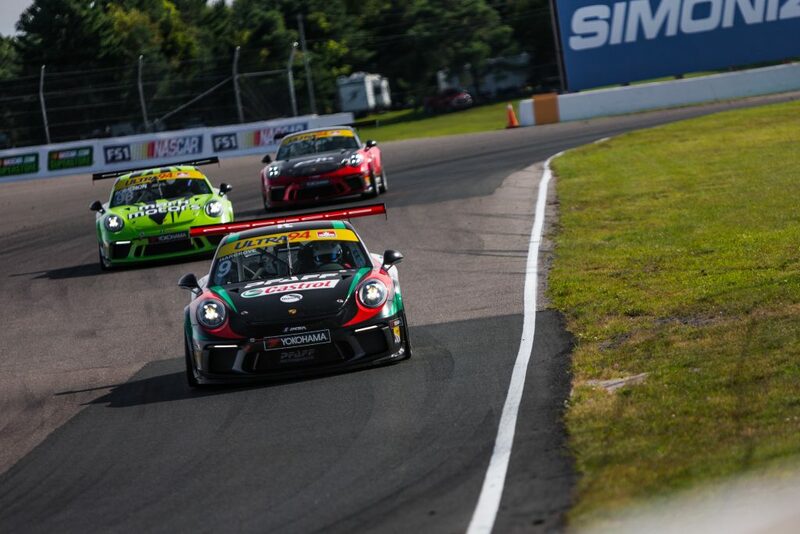 Hargrove carried that momentum into qualifying for the weekend’s regular-scheduled events, leaving little room for the competition as he set pole and a new GT3 Cup lap record at Mosport with a time of 1:18.488. Putting himself up front for the start for race one, Hargrove’s race for his second GT3 Cup title since 2014 mirrored much of his performance all season, putting in consistent, fast laps and running away from the competition. He cemented his title and the Pfaff Motorsports’ team championship crossing the line 7.5 seconds ahead of second place, while Fidani earned a second-place in the Gold class, and Baljet and Killeen sitting on either side of the top-10 position. When Hargrove drove into the winner’s circle, he pumped his fists in the air and took a giant leap from the roof of his Porsche 991.2 GT3 Cup car in celebration, before being joined by his Pfaff Motorsports teammates and congratulated by the competition. Reclaiming their crown as the top team in the series, the final race of the season was also one of the wettest, with heavy rains pouring down on the circuit on Sunday morning. Killeen would not start, leaving a three-car effort for the season finale. Hargrove again started from pole, but a quick move and a bump on the outside of turn one left Hargrove in second place with a yellow-flag that soon followed. Fidani found himself in the top 10 on the first lap, and would hold that through to the checkers, while Baljet climbed three positions to finish ninth. When the flag dropped, Hargrove crossed the line in second place for only the second time this season, in what has been a near-perfect performance by the Pfaff Motorsports crew for 2017. At season’s end, Hargrove finished with 246 points, a 25-point margin from second place, while Baljet finished eighth overall, Shaun McKaigue ninth, Killeen 14th, and Fidani 16th. 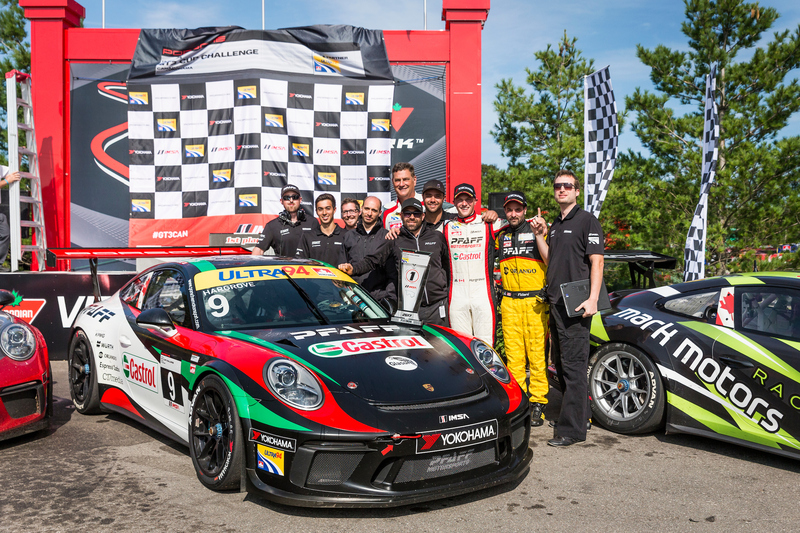 As a team, Pfaff Motorsports celebrates their second title in just three years, and looks forward to continuing its 50-year involvement in major Canadian motorsport. Stay tuned for 2018 developments, and Pfaff Motorsport’s ongoing 2017 programs by following @PfaffMotorsports and @PfaffAuto on Instagram. From opening practice until the checkered flag on Sunday, Pfaff Motorsports couldn’t have asked for a better weekend. 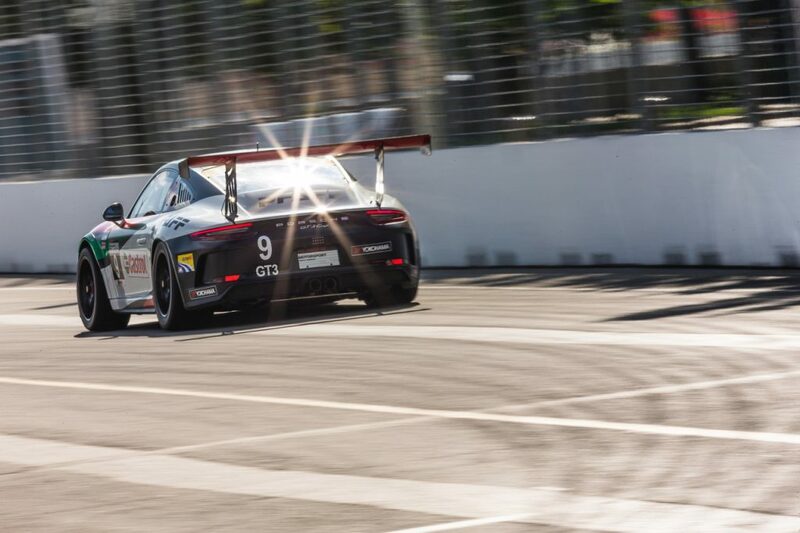 After a tumultuous race at Watkins Glen that saw driver Orey Fidani suffer extensive damage to his 991.2 GT3 Cup car, the team returned to Indy with a four-car lineup that included championship leader Scott Hargrove (Platinum), Shaun McKaigue (Masters), Pieter Baljet (Masters), and Ed Killeen (Masters). 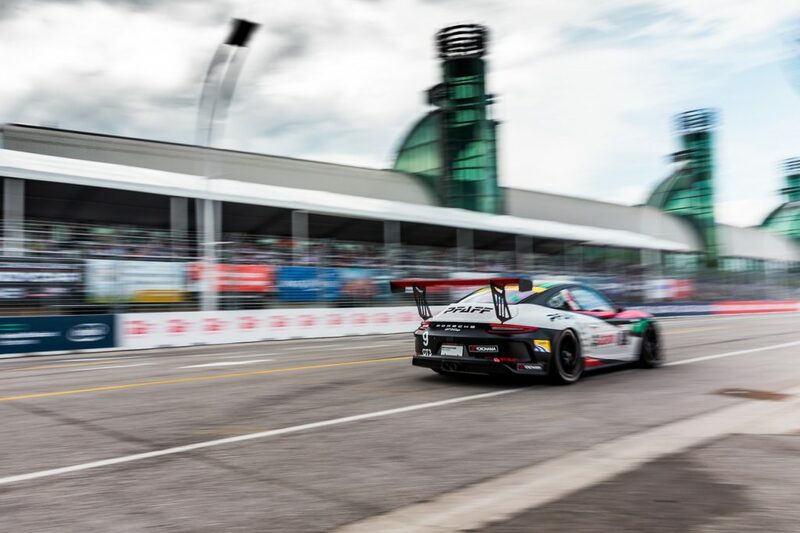 For Hargrove, his objective for rounds five and six were clear: extend his points lead and try to remain undefeated in the Canadian GT3 Cup series. It wasn’t long before those wheels were set in motion, as Hargrove opened up a half- second gap in first practice, and extended that even further for the second. 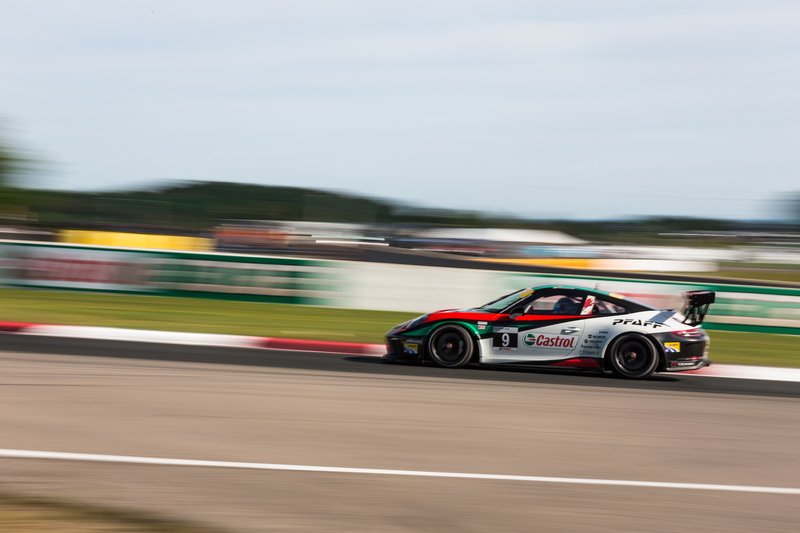 In qualifying, Hargrove topped the charts once again in his #9 Castrol-Pfaff Motorsports 911 GT3 Cup, needing the fewest laps to set pole position, while McKaigue set himself up for a strong race, qualifying third in the Masters class ahead of Baljet and Killeen. Hargrove was methodical, following the fastest line and creating a gap almost immediately. As each lap passed, he built a comfortable lead to cross the finish line two seconds ahead of the competition. McKaigue, meanwhile, kept himself neatly among the top three Masters cars throughout the race, and made a late charge on lap 24 of 32 to finish third in class, and eighth overall. Unfortunately, Baljet suffered a failure that saw him retire on lap 16, while Killeen was collected in an incident on lap 24 that forced him to sit out the remainder of the weekend.Despite the continued threat of wet weather throughout the weekend, the GT3 Cup series opened race one under clear evening conditions, giving Hargrove an unimpeded view down the front straight as he took the inside line on turn one with three cars wide. For race two, Hargrove started from pole once again, and carried the favoured line into turn one to set himself up for clear roads ahead. His race was far less comfortable than the day previous, as he was pressed heavily by Zach Robichon, who stayed within one second of the leader, until Hargrove crossed the finish line a half-second ahead. McKaigue made another late-race pass on lap 25, to finish ninth overall and secure another top-three podium. Hargrove’s sweep in Toronto gives him four career wins at the street circuit, and marks a perfect six-for-six record on the Canadian calendar thus far, giving him a 17-point lead in the championship. 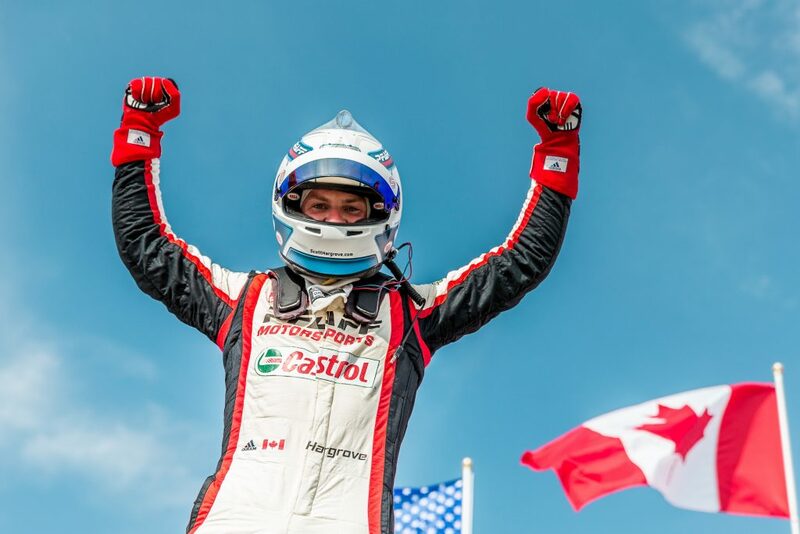 Both he and the entire Pfaff Motorsports team look to return with a full squad when they visit another of Canada’s prized street-course weekends at the Grand Prix de Trois-Rivières (GP3R), taking place on August 11 to 13 in Trois-Rivières, Québec. For the latest updates, news and behind the scenes content, follow @PfaffMotorsports and @PfaffAuto on Instagram.